The new Jordan Schnitzer Museum of Art WSU is more than a place to view and experience art. The design, by Jim Olson of Olson Kundig, and prominent campus location increase access to the arts for the entire Inland Northwest region. It is designed as a beacon for the arts, inviting visitors to experience the vitality of art at WSU. In both location and design, the building brings art to the forefront of university life. Olson’s design concept of a mirrored crimson cube rewards viewers with an ever-changing landscape with which to view themselves and the world around them. Life mirrors art, and in this case the building itself is a mirror for the campus as well as a hint of the treasures inside. The museum is located in the Crimson Cube (on Wilson Road across from Martin Stadium and the CUB) on the WSU Pullman campus. The hours of our six galleries are Tuesday – Saturday, 10 a.m. – 4 p.m., closed Sunday and Monday. For more information please contact the museum at 509-335-1910. The Collections and Learning Gallery of the Jordan Schnitzer Museum of Art WSU is located on Wilson Road across from Martin Stadium in the Fine Arts Center on the WSU Pullman campus. The Collections and Learning Gallery hours are Tuesday – Saturday, noon – 4 p.m., closed Sunday and Monday. Parking: For information on parking and to obtain a parking permit please contact parking services at (509) 335-PARK. 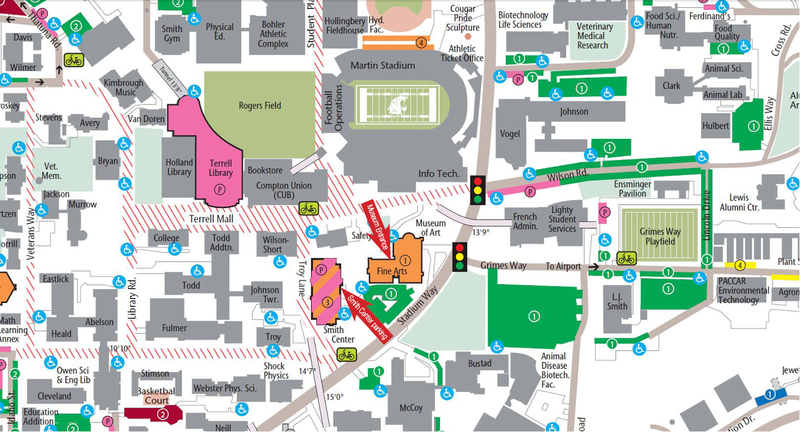 You can also view the campus parking map for parking locations. The Jordan Schnitzer Museum of Art WSU, with its Collections & Learning Gallery and downtown space, is actively engaged and connected with students, faculty, staff and the larger community by using innovative, creative and intellectually stimulating exhibitions, programs and events. The museum intentionally fosters an environment that demonstrates the transformational power of the arts across academic units, the local community, K-12, state and the nation. The Jordan Schnitzer Museum of Art at Washington State University serves as the intellectual center for the visual arts, combining academic needs with community connections, to enliven, educate and transform the lives of WSU students, faculty and staff, while offering enriching encounters of regional and national artists to the Inland NW. Jordan Schnitzer Museum of Art – The primary galleries of the museum are integral to the educational mission of Washington State University. 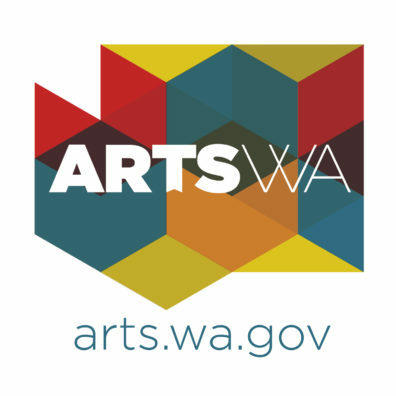 Offering engagement with local, national and international art/artists to the WSU and surrounding communities all while creating active partnerships across campus to integrate the visual arts into every aspect of the university’s mission. The WSU Schnitzer Museum adheres to the highest standards of professionalism in pursuing accreditation and building future generations of museum professionals through intern training and focused studies offered through a Museum’s Studies minor. The Collections & Learning Gallery for the Jordan Schnitzer Museum of Art WSU – This gallery provides researchers, students, faculty and staff access to the teaching collection of the museum while protecting and preserving each item kept for the public trust, in an open, viewable vault environment. WSU / The Jordan Schnitzer Museum of Art WSU is an independent department of Washington State University, under the auspices of the Office of the Provost. AAM / AAMG / The Jordan Schnitzer Museum of Art WSU holds membership in the American Association of Museums (AAM) and the Association of Academic Museums and Galleries (AAMG).